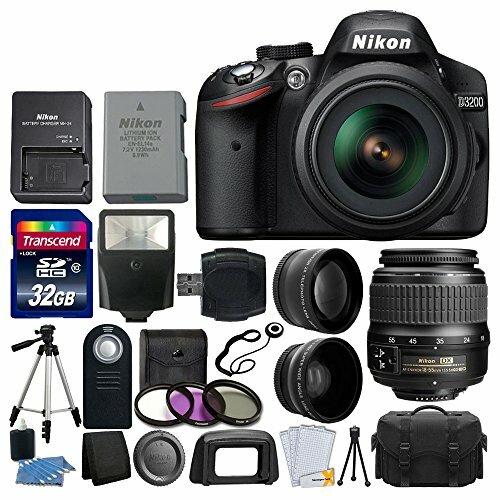 The Nikon D3200 is a small piece DSLR which comes crammed with a lot of exciting technology. It has features one would expect to find on higher priced models. This entry level beginner camera has EXPEED 3 engine to deliver quick processing. It gives off little noise and a range of frame rates. The beginner DSLR camera offers Full HD video recording. 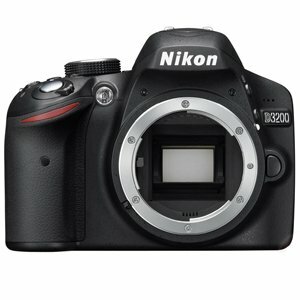 The Nikon D3200 is a no-nonsense, ‘traditional style’ entry-level DSLR that is a solid performer on all levels. It doesn’t offer much in terms of innovative features but comes with the highest pixel-count in its class and good image quality across the ISO range. Just consider getting some high-quality Nikkor Lenses with it to make the most out of its high pixel count. Being made for entry-level users, it has significant improvements on its Guide Mode. It guides users to achieve the best in image quality. One can purchase an optional Wi-Fi adapter, the WU-IA. It connects this beginner DSLR camera to your smart gadgets. The user can user the Nikon D3200 in remote mode and also upload images to social media. With a polycarbonate construction, this entry-level DSLR takes the lead from the Nikon D3100. It comes with user-friendly ergonomics useful for average shooters. 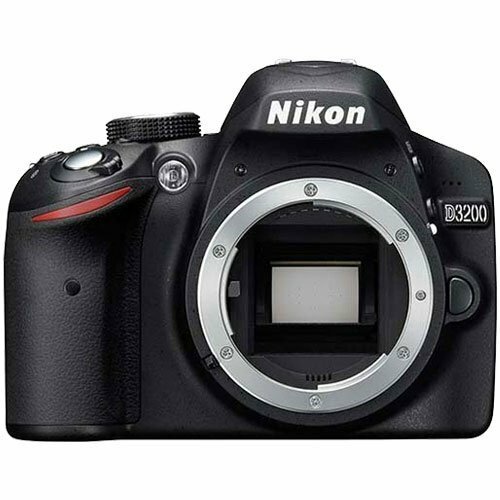 The Nikon D3200 is accessible via the ‘I’ quick menu. Find this at the back of this best beginner DSLR. It has control buttons for live view. It is perfect for beginner DSLR users who are used to composing images on the LCD screen. It has a clear and dazzling screen with an excellent angle of view. The Nikon D3200 fares well in varying lighting conditions. This camera offers 11 autofocus points. Standard navigation buttons can modify it. However, it becomes a little slower when using Live View mode. The speedy phase detection is taken over by a slower detection system for contrast. Users who are fond of fast, compact camera speeds might find this frustrating. This DSLR camera is fantastic but appeals more to novice users. Its white balance does a commendable job. It measures the scene and produces actual outcomes. The Nikon D3200 comes with matrix metering for the majority of users. You will adore this 24 million pixel sensor camera. Crop any image, and it retains its high-resolution quality with this entry-level DSLR. It works great when capturing images out of reach from your lens. Crop your images with the Nikon D3200, and it’s easy to apply. Download your images to your computer, you do everything on the camera. Nikon introduced increased pixels to the sensor risking increased image quality. Nikon D3200 performs better than its predecessor. It controls noise well when shooting at ISO 1600 with high sensitivity. This best DSLR for beginners comes with expandable ISO from 100-6,400 to 12,800. Nikon D3200 comes with a low pass filter unlike the D3100 and offers remote control. When viewing images at 100% on the Nikon D5200, some smoothing occurs. It happens when you implement noise control for JPEG files. Noise levels will be more pronounced on cropping the images. The Nikon D3200 is a no-nonsense, ‘traditional style’ entry-level DSLR that is a solid performer on all levels. It doesn't offer much in terms of innovative features, but comes with the highest pixel-count in its class and good image quality across the ISO range. Just consider getting some high-quality Nikkor glass with it to make the most out of its high pixel count.